A currency option is the right (but not an obligation) to purchase or sell an agreed amount of a particular foreign currency at an agreed rate of exchange, at the expiry of, or during a specified period of time. Who is this facility for? Importers and those with known commitments such as dividends, management fees, gratuities, interest and principal repayments etc, who wish to fix the kwacha value of USD, GBP, ZAR, EUR etc. For importers, in a country like ours, whereby there is a period when foreign exchange is scarce, ensures availability when needed. Both parties sign a contract detailing the amount, rate, premium payable and delivery date. Exchange of currencies takes place on or before the agreed date. National Bank of Malawi through Vehicle and Asset Finance Section buys the asset chosen by a customer, and allows the customer to possess and use the asset in return for specific rental payments over a specific period. National Bank of Malawi buys back assets at an agreed price and leases them back to the original owner. This facility is ideal for converting capital assets into working capital when expanding your business. This is used as an alternative to a Sale and Lease Back where monies are advanced with security taken over a property by a way of legal mortgage or over assets by a way of a Bill of Sale. Corporate clients can apply for revolving credit facility, which once in place can be used to acquire assets on presentation of invoice. The facility is subject to annual review. We have developed an innovative car ownership scheme for those companies wishing to provide their eligible employees with finance to buy vehicles. Corporates only need to undertake monthly repayments to us. In an operating lease the bank purchases the asset and makes a return or profit by renting it out to different users (Customers). The Customer pays a rental to the Bank (Lessor, owner of the asset) for the hire and use of the asset and never owns the asset outright. FCDA is a foreign currency account opened and maintained by local exporters and those entirely or partially funded from external sources e.g. diplomatic, international and non-governmental organizations. Malawians living abroad are also allowed to open such accounts. Malawians living abroad who would like to open foreign currency accounts but have no Malawi Kwacha accounts with us need to appoint attorneys who might be relations or friends to help with formalities of opening accounts on their behalf. We offer time deposits in foreign currency to our clients. Customers only need to apply to Treasury and Financial Institutions Division to open time deposit accounts. Customers who maintain such accounts are protected from exchange rate fluctuations if they make their payments in the same currency of the account they are maintaining. Clients apply for such an account through their respective service centres. Upon requirement satisfaction, the service centre recommends the client to the Treasury and Financial Institutions Division of Head Office who opens the foreign currency account. The operation of this account is subject to Reserve Bank of Malawi regulations, which are issued from time to time. There is no minimum balance requirement for such accounts. A Forward Exchange Contract is a contract between two parties whereby they commit themselves to exchange a specified amount of one currency for another at an agreed rate of exchange, settlement of which takes place on a fixed date in the future. Importers and those with known commitments such as dividends, management fees, gratuities, interest and principal repayments etc, who wish to fix the kwacha value of USD, GBP, ZAR, EUR, etc. In a country like ours, where foreign exchange availability follows seasonal patterns, this becomes a practical hedge. In the event of cancellation or lack of sufficient funds on the part of the client, the contract shall still be exercised on the maturity date. Simultaneously, the bank shall buy back same amount of foreign currency as contracted at the prevailing spot buying rate. To assist qualifying Small and Medium Enterprises (SME's) with working capital, capex finance, short term loans, letters of credit, guarantees and bonds. Sole proprietorships and limited companies that have sales turnover of up to K 100, 000,000 running or intend to run any business which is not on the Banks negative list. What can my business lease? Any asset of durable and identifiable nature. 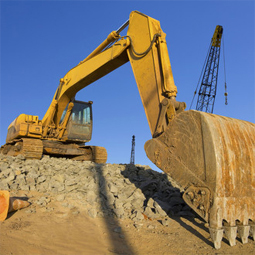 This includes equipment, plant, machinery, commercial vehicles, tractors, business cars, generators, computers, etc. Can my business qualify for leasing? If your business is properly established and registered (sole traders, professional partnerships and companies), you can qualify for asset finance provided your business can demonstrate the ability to generate cash to meet rental payments. How will my Business benefit from National Bank Asset Finance Section? National Bank of Malawi is the biggest bank and has the capacity to provide finance for all capital assets requirements. Our professional leasing team with unrivalled experience have a better understanding of Malawian business environment in assessing requirements of applicants. Vehicle and Asset Finance Section is easy to contact through any National Bank of Malawi Service Centres which are available all over Malawi. Repayments are flexible and are tailored to suit the cash flow pattern of your business. It could be monthly, quarterly or on a seasonal basis over an agreed time frame. Leasing enables your company to employ conserved working capital profitably. Quick decision making to meet expectations.